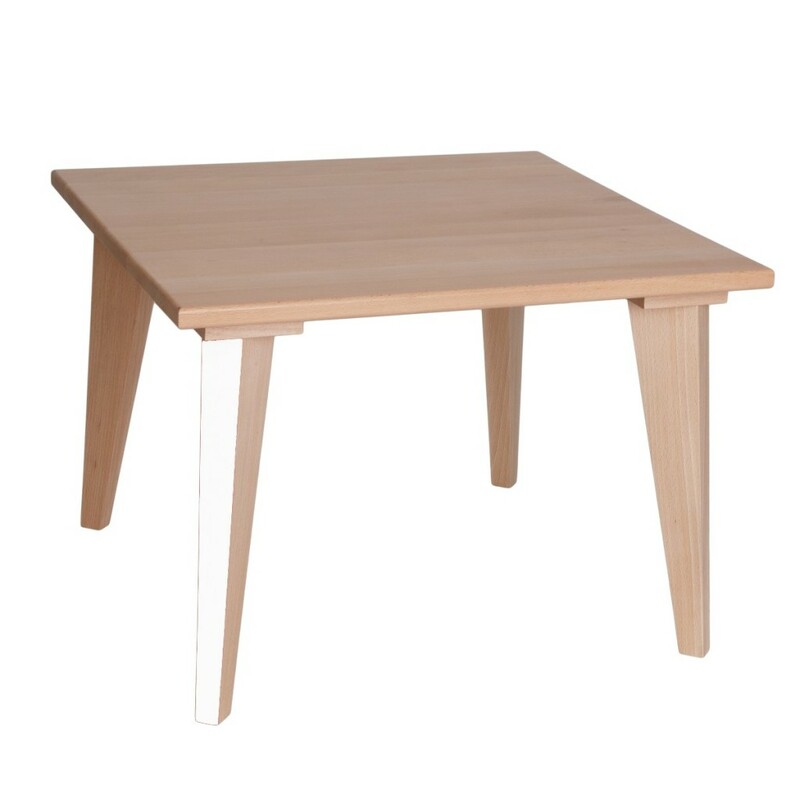 Solid wooden coffee table. 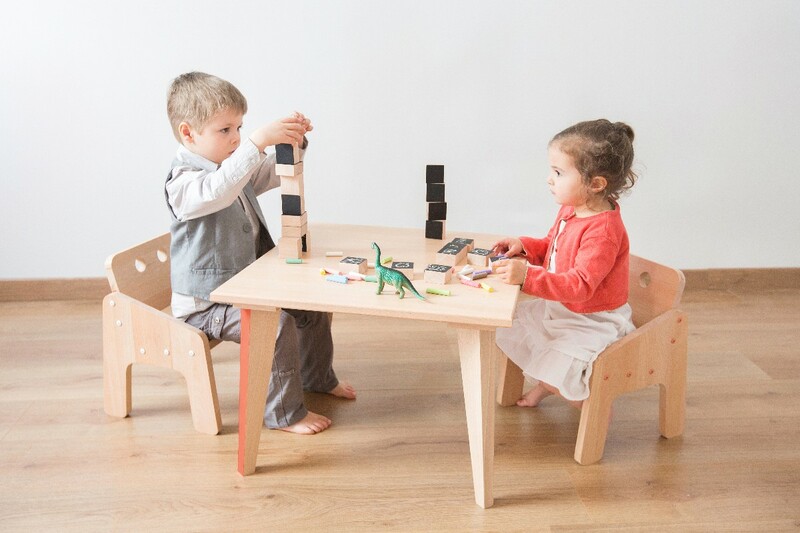 Size and height adapted at the same time to dad and mum’s living room and to kids’ playroom or bedroom ! Strong and beautiful it’ll be loved by both parents and children. One leg’s face is painted, color of your choice. Colored screws under the plate. Non-toxic and ecolabel water varnish.